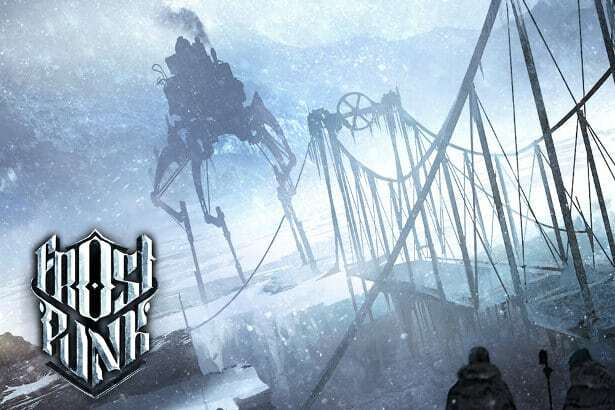 You are here: Home » MEDIA » Games » Frostpunk – the steampunk city-builder game. Frostpunk – the steampunk city-builder game. Here’s the new trailer for Frostpunk, the steampunk city-builder game set during a future ice-age. The game from 11 bit Studios looks excellent, but I can’t help but wonder why all these computer games inspired by the feel-and-themes of Stephen Hunt’s best-selling Jackelian steampunk novels (in this case the future ice-age that preceded Jackelia’s rise) don’t just bite the bullet and actually license his fantasy-SF-steampunk world outright from HarperCollins? That’s something I’d love to see … and play (as would presumably at least 167,000 other readers). We’ll probably have to wait until a Netflix TV series based on the books comes out before a game firm takes the plunge, I suspect. In the meantime, Frostpunk will definitely do! It’s a gorgeous-looking game with deep mechanics – and plays far superior to the once mighty but now diminished SimCity. And did we mention … steampunk! Available 24th April 2018 on – rather appropriately – steam. « Elon Musk, panel crasher, at South by Southwest Film Festival.